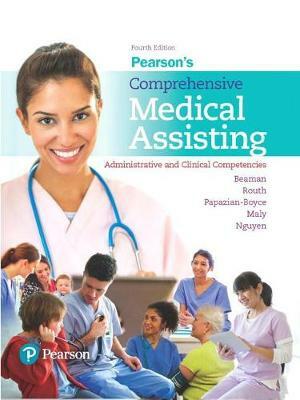 MyLab™ Medical Assisting is an online homework, tutorial, and assessment program designed to work with this text to engage students and improve results. Within its structured environment, students pursue an adaptive test of their knowledge, practice what they’ve learned, and prepare for their certification exam. Content includes comprehensive Homework Questions, Critical-Thinking Quizzes, Professionalism Scenarios, and sample Certification Exams. This edition features an update of key Procedural Videos, as well as the inclusion of new video-based Decision-Making Cases, Dynamic Study Modules, and Interactive Procedural Checklists. Students, if interested in purchasing this title with MyLab, ask your instructor for the correct package ISBN and Course ID. Instructors, contact your Pearson representative for more information.